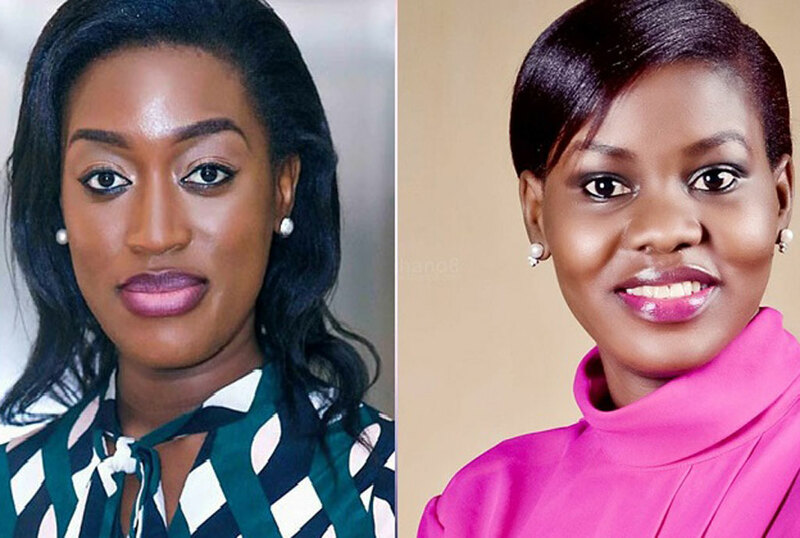 TV personality Justine Nameere has initiated a legal suit against fellow TV personality, Faridah Nakazibwe over claims that she defamed her. Through her lawyers of F.X Ogwado & Co.Advocates, Nameere has expressed her intention to sue Nakazibwe. In her notice of intention to sue dated April 12, a copy of which has been seen by this publication, Nameere claims that on Fools Day (April 1, 2018), Nakazibwe wrote a defamatory dossier against her and posted/published it on her Facebook wall for the whole world to read, react, comment and ridicule her. 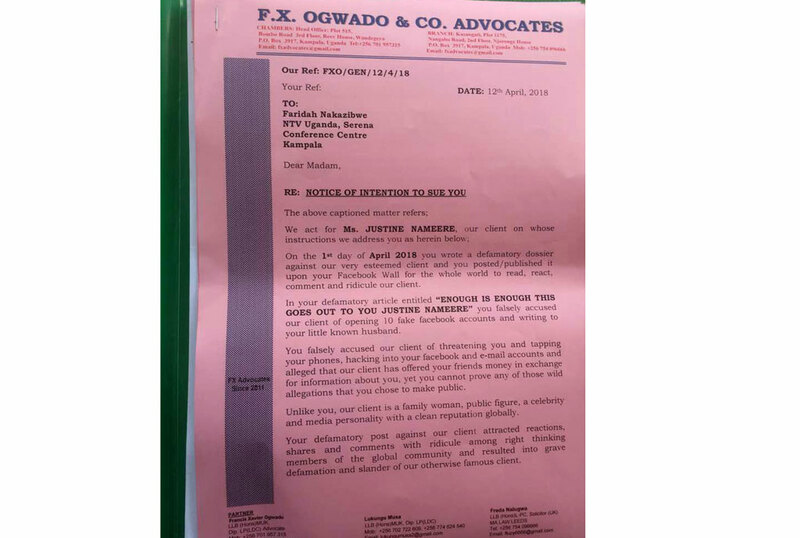 “In your defamatory article entitled “ENOUGH IS ENOUGH THIS GOES OUT TO YOU JUSTINE NAMEERE” you falsely accused our client of opening 10 Facebook accounts and writing to your little known husband,” reads part of the notice of intention to sue. In the notice, Nameere avers that Nakazibwe falsely accused her of threatening her (Nakazibwe) and tapping her phones, hacking into her Facebook and e-mail accounts and alleged that she has offered her (Nakazibwe’s) friends money in exchange for information about the Mwasuzze Mutya host, yet she cannot prove any of those wild allegations that she chose to make public. “Unlike you, our client is a family woman, public figure, a celebrity and media personality with a clean reputation globally. Your defamatory post against our client attracted reactions, shares and coments with ridicule among right thinking members of the global community and resulted into grave defamation and slander or our otherwise famous client,” further reads the notice.